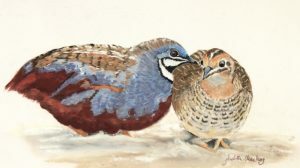 ABUN, created by wildlife artist Kitty Harvill and her husband Christoph Hrdina, unites artists and biologists with the goal of raising awareness regarding endangered species and their respective habitats through the emotive response to art. Below you will find some of the projects that I have participated in with some more detail on the specifics for those projects. 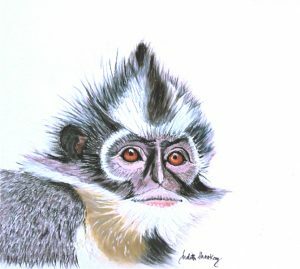 Durham University Primate and Predator Project, Lajuma Research Centre, South Africa. 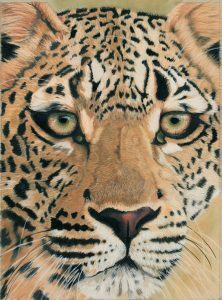 The idea of the exhibition is to promote awareness of the substantial decline in the leopard population due to possible snaring, shooting of Leopards by local farmers in retaliation for the predators attack on their livestock and to promote ways of living in alongside leopards. OMG – One More Generation with Jim Ries and his two children, Olivia and Carter. and Alexis Kriel of the African Pangolin Working Group. The photos posted in this Album are courtesy of Alexis. 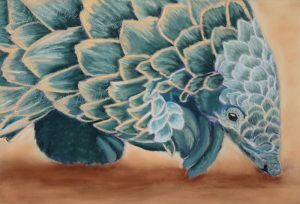 Pangolins are threatened by hunting (for their meat and scales) and heavy deforestation of their natural habitats, and are the most trafficked mammal in the world. 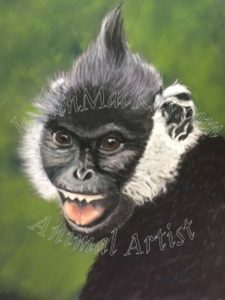 We have the great opportunity to collaborate with Fauna & Flora International to help support their work in Vietnam for the Delacour’s langur (primate), with less than 250 individuals left on our planet, this is a crisis for this species. FFI will work with local authorities to set up community-based patrolling, incentivising and employing the local hunters to act as conservationists as opposed to hunters. We will also engage central and provincial government authorities to assess potential future development plans for the area and provide alternatives where conflicts between development and conservation are likely. Brochure that is designed to bring local public awareness and particularly the farming community of Sumatra on the plight of these endangered animals and how they can live peacefully alongside them I Painted 3 of the animals. 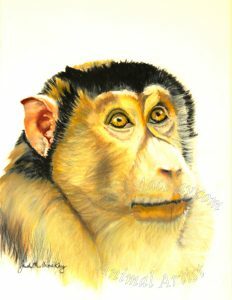 The Southern Pig Tailed Macaque, The Thomas Leaf Monkey and the Asian Blue Quail.